In recent years domestic dogs have been employed for increasing numbers of forensic, detection and law enforcement activities, including wildlife trafficking. Dogs have proven themselves irreplaceable across conservation and law enforcement disciplines. With wildlife trafficking reaching alarming levels throughout the world and much of the contraband originating from Zambia it has become necessary to introduce innovative techniques to address this. 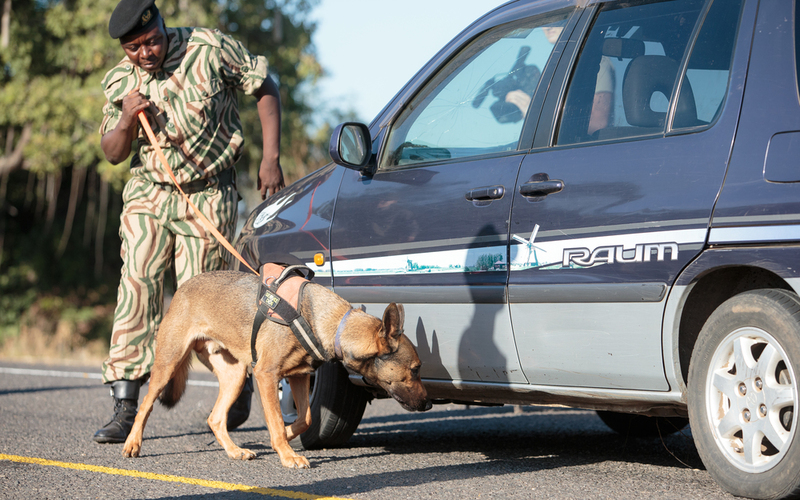 In 2014 in partnership with Working Dogs for Conservation, a US based NGO, we introduced Zambia’s first ever wildlife detection dog unit in South Luangwa. 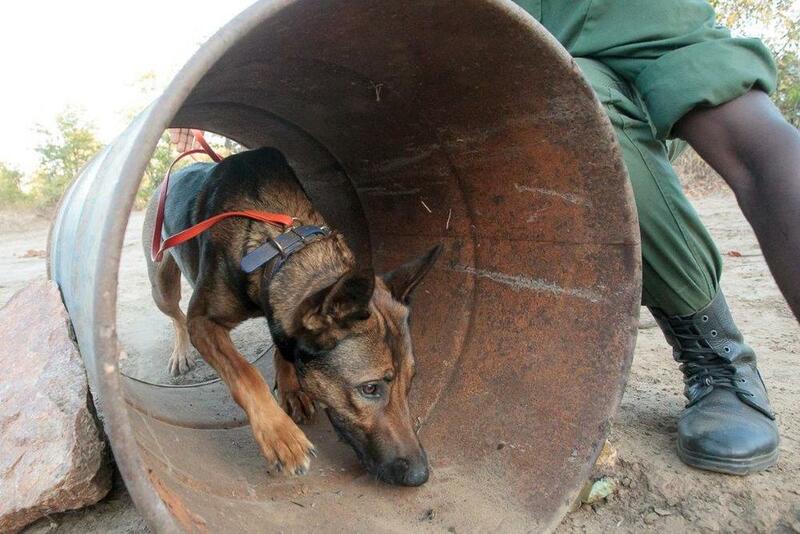 We currently have three highly trained and specialized dogs who were imported from the USA and now live in Mfuwe. All three dogs are donated rescue dogs who were screened from thousands of dogs and highly trained. Six scouts (three wildlife police officers from DPNW and three community based village scouts from CSL) were handpicked for their enthusiasm and rapport with dogs and undertook an intense four months training course in dog handling. Refresher training and skills expansion takes place quarterly with WD4C trainer visits. The strong bond between handlers and dogs and their commitment to the project has resulted in immediate, tangible outcomes. 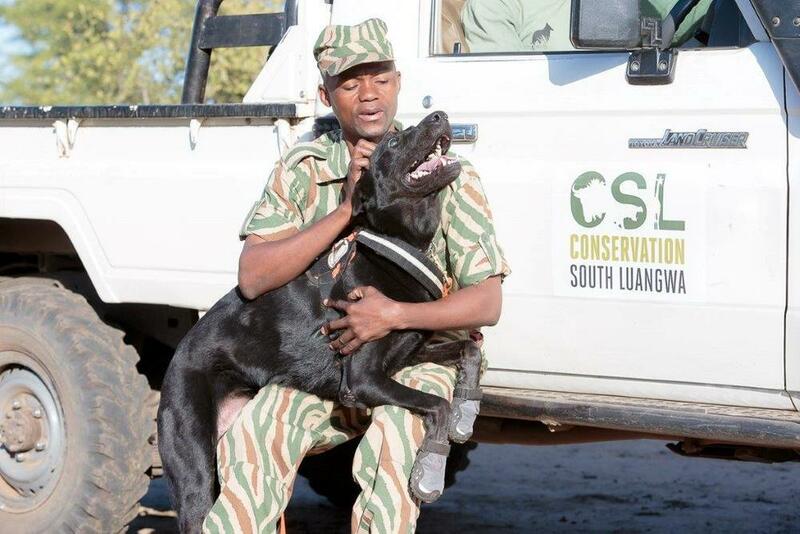 CSL partners with Working Dogs for Conservation for training, expertise, capacity building and dog delivery and the program is largely supported by the Africa Hope Fund.